A major obstacle to the reopening of the former Revel Casino in Atlantic City was removed when a deal between a bank, utilities and Florida developer Glenn Straub was reached on Tuesday. Straub will be able to focus more of his attention on the former casino’s future now that U.S. District Court Judge Jerome Simandle has helped Straub’s Polo North Country Club, ACR Energy Partners and Bank of New York Mellon resolve their differences. 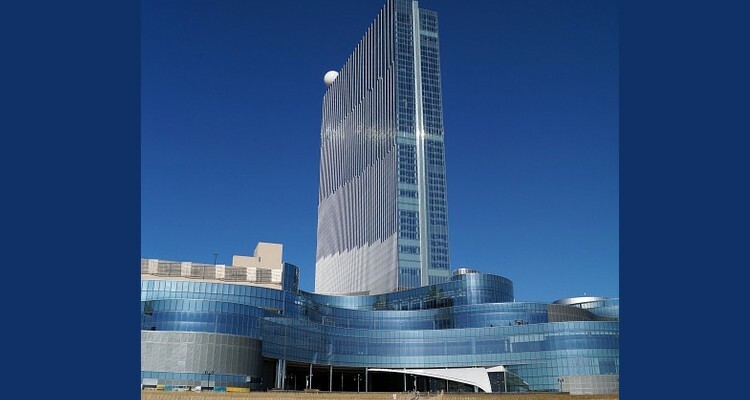 After the agreement was reached, Straub said that while it’s not going to be the same as the former Revel, the agreement allows them to look for casino operators interested in a 30-year lease to renew gambling operations at the New Jersey site, but on a smaller scale. The hope is to have the property, at least in part, opened by 2016, according to Straub. Under the conditions of the deal, which has to be signed by December 2, ACR, the owner of the power plant that supplied the Revel’s utility service, will pay $15 million, while Straub will pay $30 million into an escrow account so settle power plant bondholder debt. The utility plant will be Straub’s, and ownership of a cogeneration plant inside of the central utility plant will fall to ACR who will disconnect and remove the equipment. Boilers at the Revel will be fired up by a company named DCO who will also operate the power plant, and this week Straub will set up accounts with South Jersey Gas and Atlantic City Electric for future utility service. More importantly, the deal would end the web of litigation that’s been preventing the Revel’s reopening. Since Straub’s purchase of the Revel in April, ACR wanted to be its sole utility supplier, but the company was teetering on foreclosure. The contract ACR wanted would have not only accomplished the latter, but would have also seen Straub paying off the debt ACR incurred building the plant, but Straub refused. The deal doesn’t mean Straub’s headache is over. There is still the litigation involving Revel’s former tenants and whether they can remain there if it reopens, and now the issue of Atlantic City Council president Frank Gilliam naming a re-developer for the neighborhood surrounding Revel. If the Revel doesn’t open soon, it could lead to the property being declared a neglected area, which could result in it being condemned by the city. Straub’s lawyer, Stuart Moskovitz said, “If they try to do that, they’re going to destroy Atlantic City, when you have someone that has put his money up, and they’re playing games, ” according to the Associated Press. Revel opened in April 2012 and cost $2.4 billion to build, and it was the third of four casinos to close in Atlantic City in 2014 after declaring bankruptcy for the second time. After months of wrangling, in April, Straub purchased the property that sits at the boardwalk’s northern end for $82 million from bankruptcy court.